It keeps going and going. . .
My vehicle is very reliable. Very few major repairs for its age. The paint has begun to peel. The front end is longer than I like. Overall I would purchase another. The color is kind of confusing. Some areas are difficult to reach when certain repairs are needed. I think it will last for some time. I do regular maintenance and additives to keep it running well. The Amazing 2000 Dodge Intrepid! My car is a 2000 dodge intrepid. If this were brand new, I'd buy it again. It's very roomy with comfortable seating. Plenty of trunk size space for almost anything needed. Power electronics throughout make it easy and comfortable while driving. This is a 6 cylinder and has been amazing for me with only needing to replace the transmission. 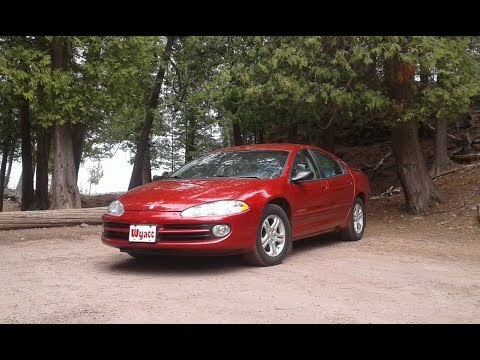 2000 Dodge intrepid review. Features, comfort, reliability. The comfort on a scale of 1-5 is a 5. There is plenty of space for both the driver and the passengers as well as a large sunroof. The gas mileage is not very good but it is manageable. It is a 2000 make so it does have some problems with the battery especially in the winter. But, it does drive surprisingly well in the snow. The passenger air bag inflator assembly contains an incorrect inflator charge amount. This condition could increase the risk of a passenger occupant injury under certain crash conditions. Dealers will replace the passenger air bag module with a correct module. Owner notification began Jan. 24, 2000. Owners who do not receive the free remedy within a reasonable time should contact Chrysler at 1-800-992-1997. A manufacturing molding error can prevent the operation of the G-lock and tilt lock functions on some of the driver's side seat belt retractors. If this occurs in a frontal crash situation, driver protection from the seat belt may be reduced, increasing the risk of injury. Dealers will replace the left front seat belt retractor assemblies. The manufacturer has reported that owner notification was to begin during March 2000. Owners who do not receive the free remedy within a reasonable time should contact Chrysler at 1-800-992-1997. The seat belt shoulder height adjustable turning loop (ATL) top mounting bolt was inadequately manufactured. The affected mounting bolts may not withstand sufficient force to function properly in certain impact situations, increasing the risk of injury to a belted occupant. Dealers will replace the upper ATL bolt. Owner notification began March 13, 2000. Owners who do not receive the free remedy within a reasonable time should contact Chrysler at 1-800-992-1997. On non-ABS equipped passenger vehicles, the brake master cylinder piston retainer snap ring may have been bent inward during the assembly process. The master cylinder piston may be in a "brake applied" position due to the damaged piston retainer snap ring. When the piston is in the applied position, the fluid compensation ports are closed which results in a brake drag condition. If the brake overheats, brake fading could lead to an increase in needed stopping distance. Should a driver not anticipate the extra stopping distance, this condition could cause a crash. Dealers will replace the brake master cylinder. The manufacturer has reported that owner notification began July 24, 2000. Owners who do not receive the free remedy within a reasonable time should contact DaimlerChrysler at 1-800-992-1997.